UVdesk - How to implement follow up? 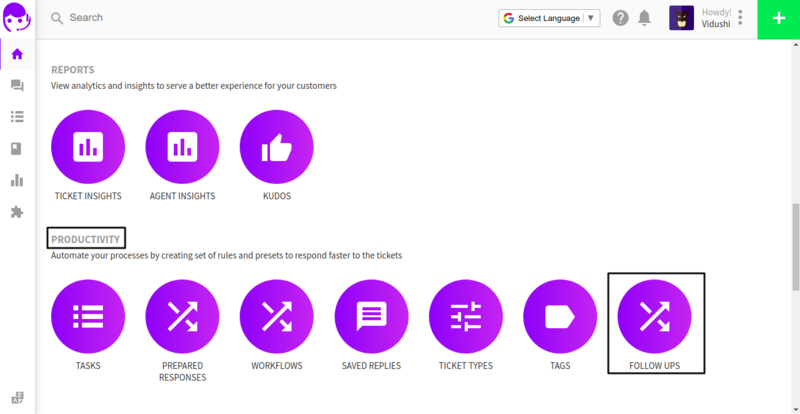 Customer inquiry increases with business growth and so it loads your Ticket List with huge inquiry count, in such case, it becomes impracticable to follow up on the Ticket, on which we haven't heard back from customer/client. 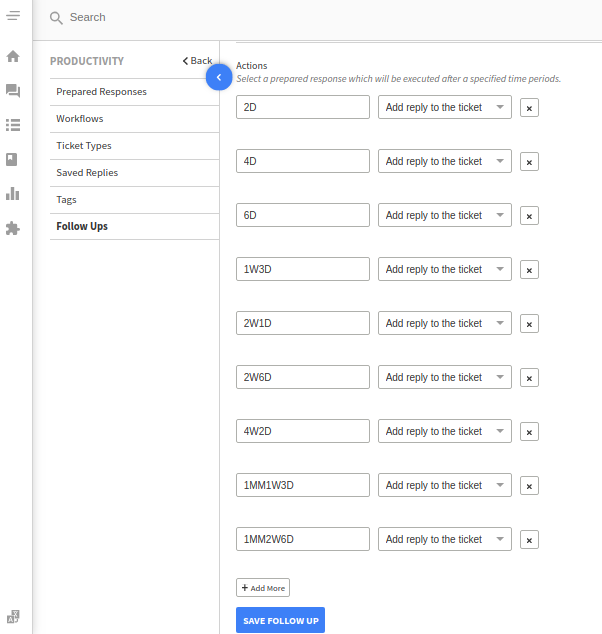 Count of such sort of Ticket increases day by day hence new feature has been added into the productivity section of UVdesk to increase the probability to heard back from customer implementing repetitive Automated Follow Up after a certain interval of time. 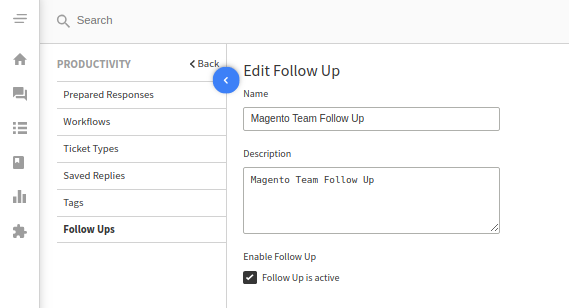 Follow Up feature will send the pre-set automated reply to the customer as systematized by the owner or assigned agent. 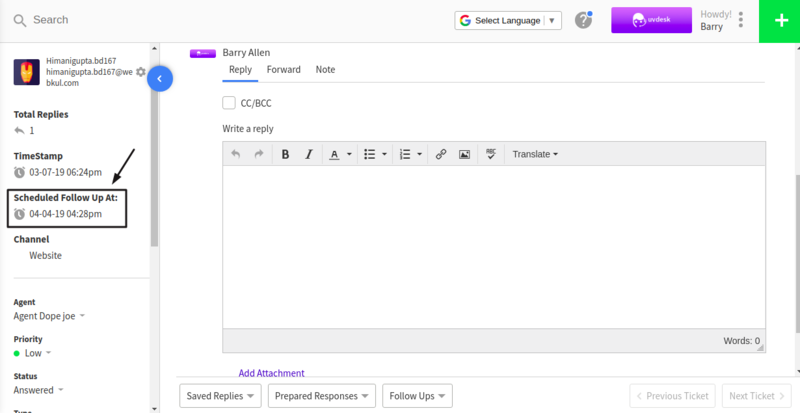 In order to add Follow Up 1st, you need to create Email Template you want to send to your customer then create Prepared Response using that template. Note: Follow Up should be added when the last reply by the agent. Find Follow Up in Productivity menu. Click on Follow Up icon. 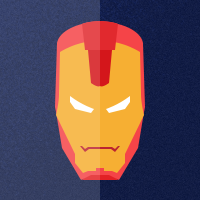 Now Click on +New Follow Up icon. Fill the Name and Description. Now click to Enable the Follow Up. Then choose pre-framed Prepared Response (Manual Workflow) in Action. Add More option is to set the repetitive follow-up to execute in a certain interval of time. 5th Follow Up should go on 15th Day after Agent's reply which will be considered as 2 Week 1 Day = 15 Dyas and so the same to set the follow Up to send after 20 Days, 30 Days (4 Week 2 Days), 40 Days (1 Month 1 Week 3 days), 50 Days (1 Month, 2 Week, 6 Days) after Agent's reply. Note: When agent/customer will add reply before the scheduled time, follow up will be deleted for that particular ticket. How to apply follow up on Tickets? Agents who have access to the Follow Up feature will be able to see Follow Up Option when Ticket is Open likewise highlighted in the below-added screenshot. Note: - Minimum time to set for sheduling the follow up is 1 Day. Note: - If the customer replies before the time interval set in the Follow Up then the Follow up will be automatically cancelled for that Particular Ticket so that your customer do not get the unnecessary email from your end. Note: - Admin can assign the Follow Up access to Agents by giving them Privilege for the same.